Medieval French literature was dominated by courtly love but perhaps the most famous poet of the era, Francois Villon, rejected courtly love and instead focussed on the lowlifes. The Renaissance in the 16th century saw a revival of ancient Greco-Roman traditions; and a great deal of 17th and 18th century French poetry celebrated a particular event or mourned a tragic occurrence. European literature in the first half of the 19th century was dominated by Romanticism, a movement characterized by glorification of the past and of nature. With poets like Victor Hugo and Alphonse de Lamartine, France contributed significantly to the movement. The French poet Charles Baudelaire is credited with moving the literary world away from the Romantic poetry of statement and emotion to the modern poetry of symbol and suggestion. 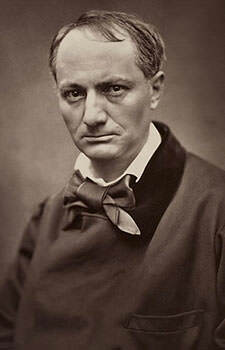 Baudelaire was followed by several 20th century French poets who became among the leading writers in modern literature. These include Paul Eluard, Paul Valery and Jacques Prevert. Know more about French poetry through the 10 most famous poets in French literature. Medieval French lyric poetry was influenced by Southern France where the Occitan language was spoken. The greatest impact of the Occitan poets was their elaboration of complex code of love called “fin amors” or “courtly love”. Francois Villon rejected the courtly ideals of love which were prevalent in French literature at the time and he instead celebrated the lowlifes. Villon led a life of a criminal during which he had multiple encounters with law enforcement authorities. He spend much of his time in prison or in banishment from Paris. The verse of Villon is mostly about his own life; a record of poverty, trouble and trial. It is full of mysteries and jokes, the slang of the time and the underworld subculture in which Villon moved. 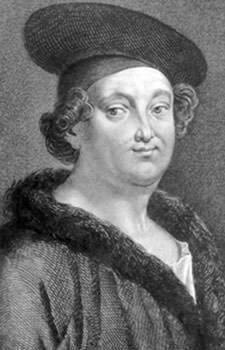 Francois Villon became renowned as a rebel poet and he is perhaps the best known French poet of the Middle Age. His most famous work is his poetry collection Le Testament (The Testament), which is recognized as a gem of medieval literature. 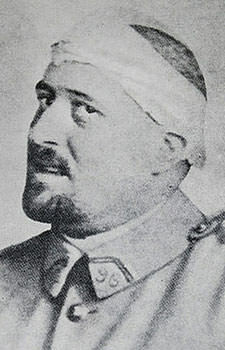 Guillaume Apollinaire was associated with all the avant-garde movements that flourished in French artistic circles during his short lifespan. Among other things, Apollinaire is credited with coining the terms “cubism” and “surrealism” to describe the two most important artistic movements of early 20th century. Apollinaire published his first collection of poetry in 1909 but it was his 1913 collection Alcools (Alcohols) that established his reputation. In his poetry, Apollinaire took innovative steps like eliminating rhyme, traditional meter and punctuation; and using unexpected combinations of words. He also pioneered a type of verse called “ideogram”, in which the lines of the poem were arranged in the shape of the object it described. Guillaume Apollinaire is renowned for his experimental verse and he is considered one of the foremost poets of the early 20th century. In 1919, while he was in his twenties, Paul Eluard met the Surrealist poets Andre Breton, Philippe Soupault and Louis Aragon. He remained in close association with them till 1938. During this time Eluard published Capitale de la douleur (Capital of Sorrow) in 1926 followed by La Rose publique (The Public Rose) in 1934 and Les Yeux fertiles (The Fertile Eyes) in 1936. The poems in these volumes are generally considered the best to have come out of the Surrealist movement. 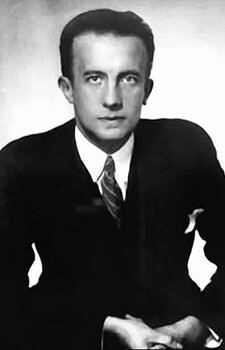 By 1939, Eluard abandoned Surrealism and, with time, he became more involved in politics. His later works reflect his political militance, rejection of tyranny and the search for happiness. During the Second World War, he published a number of collections of poetry that carried messages of hope. After the end of the war, Eluard was renowned and widely respected. He is now regarded as one of the most important lyrical poets of the 20th century. 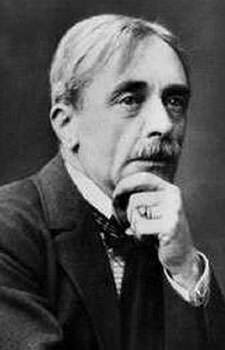 Also an essayist and a philosopher, Paul Valery is best known for his poetic works. After writing only a few early poems, Valery experienced a severe emotional breakdown in 1892 and, by 1898, he quit writing altogether. After twenty years of inactivity, he resumed writing poetry in 1912 and, in 1917, his poem La Jeune Parque (The Young Fate) was published. This poem brought almost instantaneous fame to Valery and secured his reputation as a great poet. La Jeune Parque is considered one of the greatest French poems of the 20th century. Valery used orthodox technique and all his poems rhyme and scan perfectly. His poetry generally consists of very lengthy extended metaphors, or symbols. This give his poems a tremendous degree of complexity making them one of the most challenging in French literature. Though he wrote only around 100 poems, Paul Valery is one of the most famous French poets of the 20th century. At the starting of his career, Jacques Prevert was closely associated with Surrealism and his first poems were full of Surrealist wit. The peak of Prevert’s poetic career came after the end of the Second World War with the publication of his collected poems, Paroles. The collection sold more than 500,000 copies, almost unheard of for a book of poems in France. Paris newspaper Le Monde ranked Paroles at 16th in its list of the one hundred best books of the 20th century. 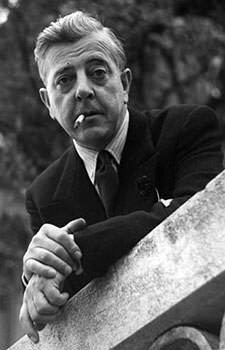 The poems of Jacques Prevert are often about life in Paris and life after the Second World War. They remain hugely popular in the French-speaking world and are widely taught in French schools. They also frequently appear in French language textbooks published worldwide and are often taught in upper level French classes to learn the basics. In 1820, Alphonse de Lamartine published his first collection of poetry, Méditations poétiques (Poetic Meditations). The collection was hugely popular and it made Lamartine instantly famous. 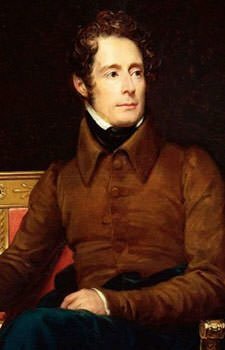 Moreover, with Poetic Meditations, Lamartine introduced the French public to Romanticism, a literary movement which was characterized by glorification of the past and of nature. Lamartine is thus considered as the first French romantic poet. Romanticism had already become influential in England and Germany before Lamartine introduced it to France. Lamartine infused French poetry with themes which were at the same time intimate and religious. By introducing Romantic elements to French poetry, he proved to be one of the most influential French poets. Lamartine was also acknowledged by Paul Verlaine and the Symbolists as an important influence. Paul Marie Verlaine began writing poetry at an early age. He was initially influenced by the Parnassien movement and its leader, Leconte de Lisle. Parnassianism was a French literary style that occurred after Romanticism and prior to Symbolism. Paul Verlaine is in fact considered by many as the most crucial link between these influential movements. Along with Mallarme and Rimbaud, Verlaine revolutionized the way French poetry was written. He took it upon himself to reform French poetry by writing sonorous, almost musical poems in which the sounds of the words were as important as their actual meaning. His greatest poems are like magical spells which combine meaningful language with incomprehensible visions. 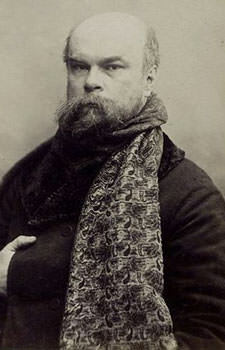 Paul Verlaine is widely regarded as one of the greatest French poets of the late 19th century. Victor Hugo is one of the most famous French writers of all time. Though most famous in the literary world for his great novel Les Miserables, his poetry is also very well known, especially in France. The first collection of poetry of Hugo, Odes et poésies diverses, was published in 1822 when he was only 20 years old. It earned him a royal pension from King Louis XVIII. His next poetry collection Odes et Ballades, published four years later, established him as a master of lyric and creative song. When Napoleon III seized complete power in 1851, Hugo openly declared him a traitor. He had to thus leave France and settle in Guernsey. In exile, Hugo produced his most acclaimed poetry collections Les Châtiments (1853); Les Contemplations (1856); and La Légende des siècles (1859). 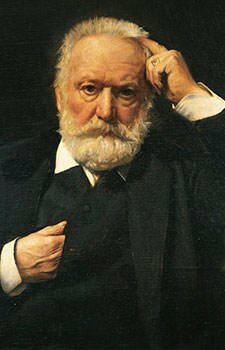 Victor Hugo was at the forefront of the French Romantic literary movement and he is the best known French Romantic poet. Jean Nicolas Arthur Rimbaud was a prodigious student who abandoned his formal education in his teenage years; ran away from home; produced the bulk of his literary output in his late adolescence and early adulthood; completely stopped writing at the age of 21; then traveled extensively on three continents as a merchant; and unfortunately died from cancer at the age of just 37. Inspired by the work of Charles Baudelaire, Rimbaud created a Symbolist style of poetry. His poetry also influenced the Dadaists and the Surrealists. Later writers adopted not only some of his themes but also his inventive use of form and language. His extended poem in prose Une Saison en Enfer (A Season in Hell) is considered a hugely influential work in modernist literature. 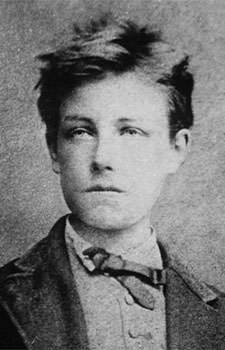 Arthur Rimbaud is among the most renowned French poets and he had a major impact on modern literature and arts, especially on Surrealism. Baudelaire is regarded as the first author in the Symbolist tradition and he, more than anyone else, moved the literary world from the Romantic poetry of statement and emotion to the modern poetry of symbol and suggestion. His greatest originality was perhaps his ability to “represent powerfully and essentially modern man” in all his physical, psychological and moral complexity. Baudelaire was far ahead of the point of view in his time and explored various controversial themes. His most famous work Les Fleurs du mal (The Flowers of Evil) was published in 1857 and it caused a sensation. It is considered by many as the most important and influential poetry collection published in Europe in the 19th century. Charles Baudelaire had an enormous influence on not only modernism but also on European literature and thought in general. He is perhaps the most famous French poet of all time.